M'SIA AUTOMATED CLEARANCE ALWAYS DOWN. PAY $35 FOR WHAT? You are at:Home»Caught In The Act»M’SIA AUTOMATED CLEARANCE ALWAYS DOWN. PAY $35 FOR WHAT? 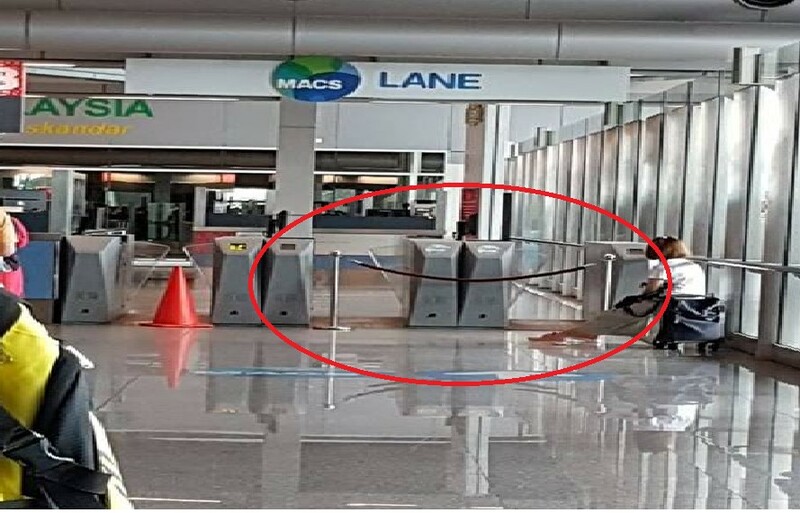 M’SIA AUTOMATED CLEARANCE ALWAYS DOWN. PAY $35 FOR WHAT? Whats the use of paying $35 for a service thats always down. Its already been like this for like forever!!! Apa gunanya bayar $35 untuk service yang tak boleh pakai. Sudah brapa banyak bulan macam gini. Last time charge RM30, ever since a few years back they moved the registration to Singapore, it costs $35. Increase in registration costs yet this is the result. The Immigration officer here said we are to blame this on the Singapore vendor handling this who did not bother to upgrade their system hence the autogate could not work. Wake up Third link’s office. Do something cos we are paying for the FAST LANE SERVICE!!! Previous ArticlePERVERT TAKING PHOTO AT SIM FEMALE TOILET!!!! Next Article TAXI USHERS AT CHANGI AIRPORT SHOUTING “YOU STUPID!! STUPID!